Following the White House announcement for the creation of a 25% tariff on import steel and 10% on import aluminium, conversations between the U.S. and other global economies is starting to heat up. EU’s President Jean Claude Juncker announced he is saddened from the Trump administration's decision. He added that counter measures in line with the WTO agreement should be anticipated as a move to protect the European economies. Russia echoed these concerns, with the Kremlin expressing worry about this move; analysts there are further scrutinizing the situation. China has likewise firmly condemned the unilateral decision to impose tariffs, underlining the likely large-scale impact to global trade. Reactions are mixed in the U.S., but widespread concerns for an incumbent trade war have negatively affected the markets for the second straight day since the announcement. What are these tariffs and why do they matter? Rather than targeting specific countries, this bill is expected to be imposed as a blanket tariff affecting all countries that import steel or aluminium to the U.S. According to Atradius Sr. Risk Manager Aaron Rutstein, this is significant if seen in relation to the Obama administration's 2016 tariffs on Chinese imports. “The perceived problem with Obama’s tariffs is that it has been easy for China to overcome them by shipping to an intermediate country first before final shipment to the U.S.” Rutstein comments. The latest Census data supports this: direct steel imports from China are minimal compared, for example, to Mexico, Canada or Brazil. “Trump’s proposal goes much farther, imposing these tariffs globally on all imports as a way to counter this possibility, and it is to be done through the Commerce Department as a rarely used national security measure.” Rutstein continues. The tariffs announcement was partly justified by the need to ensure usage of domestically produced steel for the military, to prevent national security threats. 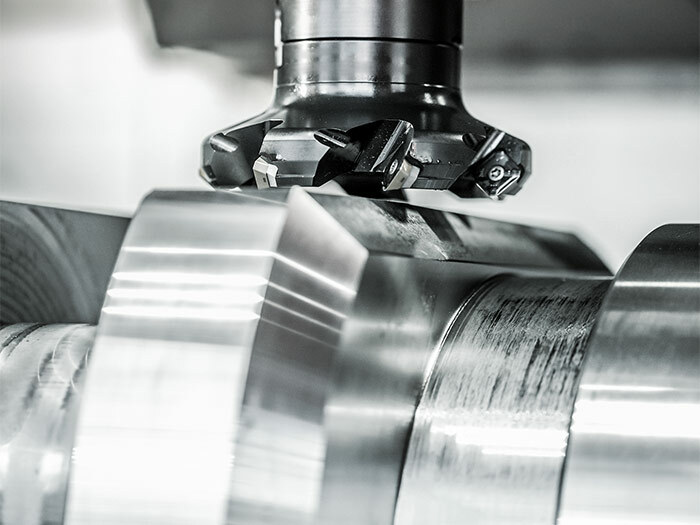 However, according to a recent Department of Defense memo, U.S. military requirements for aluminium and steel are only 3% of national production, showing that the impact of this policy would be minimal on their operations. How likely are we to see these tariffs in effect by next week? Despite yesterday’s announcement mentioning an imminent implementation, there have been talks of tariffs since the Presidential campaign, and the process is typically handled through regulatory channels who make specific recommendations. While we can expect something to happen in the near term, we still do not know for sure how quickly the policy will be implemented. How is the North American market going to be affected? Tim Moore, sector Risk Underwriter for Atradius, believes that the U.S. buyers that may be most affected are smaller manufacturers who need cheaper supply to compete against larger companies. According to Moore this decision might also have a trickle-down effect on the automotive and heavy equipment makers as well as the aerospace sector. “We fortunately are able to keep an ear to the ground thanks to the relationship with our customers in the territory. Just yesterday we heard some rumblings in the Midwest, most likely coming from the auto sector,” Moore says. “It is too early to tell the overall effect but my guess is we will see heavier requests for insurance from U.S. manufacturers and producers as U.S. companies move business internally”, he concludes. 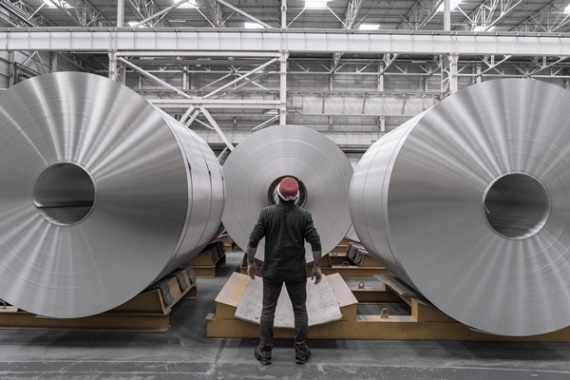 Robert Wanuga, who handles Risk for top Atradius accounts in North America, believes that domestic steelmakers will be the winners from this deal. Two large questions remain, however: how much of an increase does this add to input costs for manufacturers and to what extent can or will it be passed along to buyers and end users? “U.S. based steel manufacturing will see margin increase and this should affect cash flow and bottom line positively, but - he agrees with Moore - obvious losers are auto, aero, heavy equipment and construction industries who rely heavily on both steel and aluminium”. Other less obvious industries that could be impacted are appliances, canning or construction equipment, considering that their input prices are about to rise. Finally, we should consider two major players whose reaction might be experienced across all sectors: foreign economies and the stock market. The latter has reacted nervously since the announcement. Wanuga agrees: “The market is unable to price in this cost increase uncertainty yet, and is worried about retaliation in the form of price wars. Uncertainty can cause selling as this will negatively affect margins and cash flow to the extent that companies involved can pass along and recoup this added cost. Contrary to what this administration believes, no one wins a price war as costs go up across the board to all and these may not be fully passed along through the chain consequently hurting profits and cash flow for some middle links”. What can Atradius Credit Insurance policyholders expect? Rutstein however reminds that Atradius has consistently adopted a wait-and-see approach with the Trump administration. "There has been a lot of sabre rattling but follow through is often lacking," he notes. "Should these tariffs be implemented we do not anticipate a negative reaction to our underwriting of the metals sector as the impact would largely be neutral to positive”. What is certain is that the sector will remain closely monitored, and buyers with high debt loads, declining or weak profit margins, and weak cash flow receiving more scrutiny and analysis. “We keep the interest of our policy holders as the number one priority, which means maintaining a cautious approach when necessary. They recognize our sector knowledge and trust us to help them make the best business decisions,” Collins concludes. The February 2018 edition of the Economic Update, presenting the current economic environment across the globe and the outlook by Atradius Economic Research.